The Japanese group’s first results to include the giant Vision Fund showed a surprise $1 bln gain on shares in a U.S. chipmaker. Vision has inspired frenetic dealmaking, but the benefits to investors are unclear. A complicated outfit has become even harder to decode. SoftBank Group reported a surprisingly strong operating profit on Aug. 7, aided by a gain on an investment earmarked for its Vision Fund. These were the first results to include the technology investment fund, which held its first close in May with more than $93 billion of committed capital. The Japanese technology and telecommunications group said operating profit for the three months to June 30 leapt by slightly more than 50 percent to 479 billion yen ($4.3 billion), on sales of 2.2 trillion yen. Analysts polled by Thomson Reuters had on average expected operating income of 326 billion yen, Eikon showed, on sales of 2.2 trillion yen. The Vision Fund contributed 105 billion yen of operating income thanks to an unrealized gain on SoftBank’s holdings of shares in Nvidia, the U.S.-listed maker of graphics chips. In May, the fund revealed it had taken a stake in Nvidia as it announced its first close. Bloomberg, citing people familiar with the situation, reported that the stake was worth $4 billion. That would be equivalent to a 4.9 percent stake, just below the level requiring a U.S. regulatory disclosure. 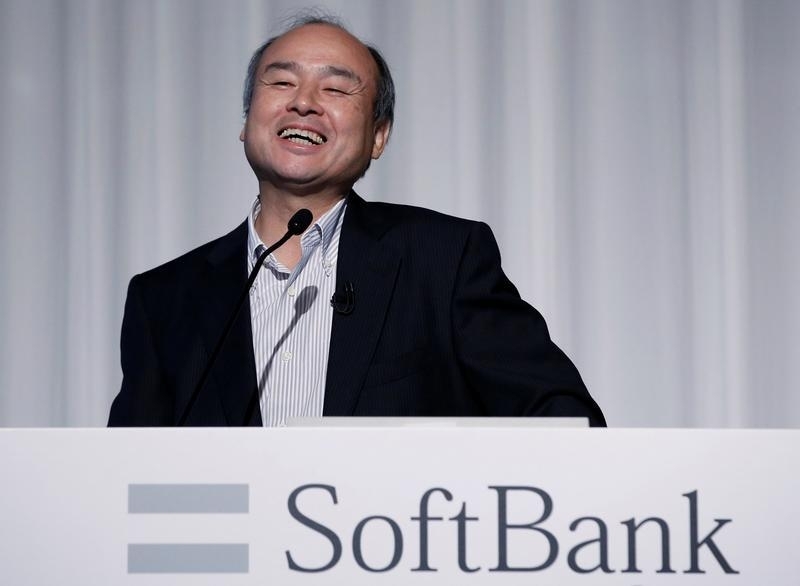 SoftBank founder Masayoshi Son said the company should be able to decide on an “integration partner” for its U.S. telecoms unit in the near-future, Reuters reported. Son said if all went well, the Vision fund would be able to contribute several billion dollars in annual revenue.